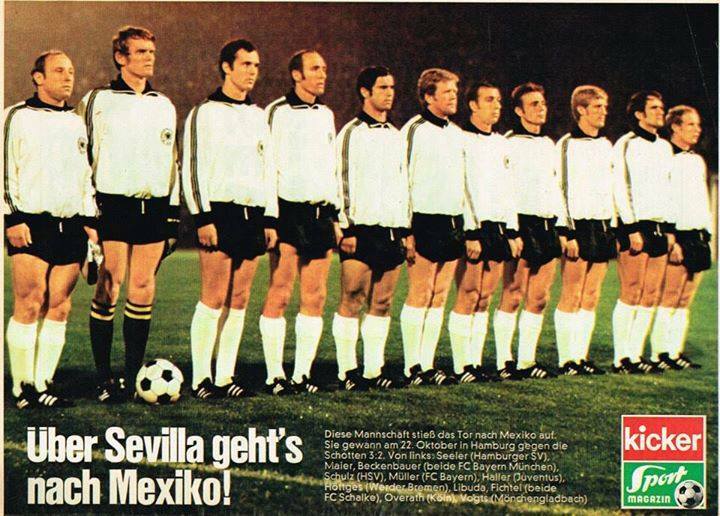 West Germany: Maier, Höttges, Vogts, Beckenbauer, W. Schulz, Fichtel, Libuda, Seeler, G. Müller, Overath, Haller. 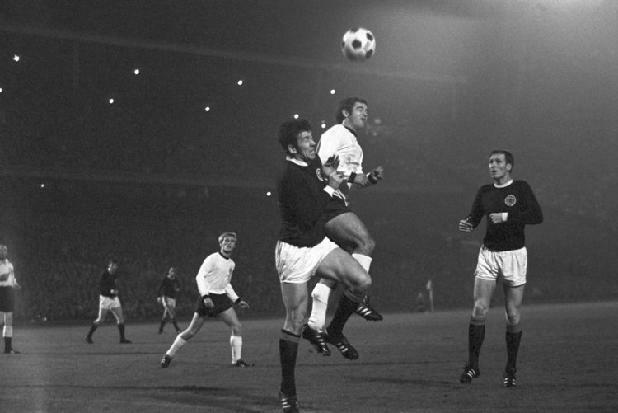 Scotland: Herriot, Greig, McKinnon, McNeill, Gemmell, Bremner, Cormack, Johnstone, Stein, Gilzean, Gray. Goals: 0:1 Johnstone (3. 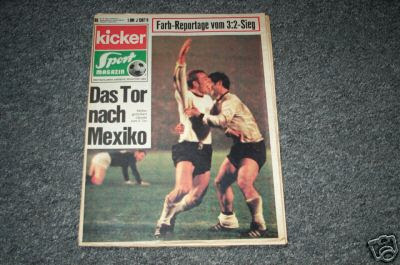 ),1:1 Fichtel (38. ), 2:1 G. Müller (60. ), 2:2 Gilzean (62. ), 3:2 Libuda (79.). 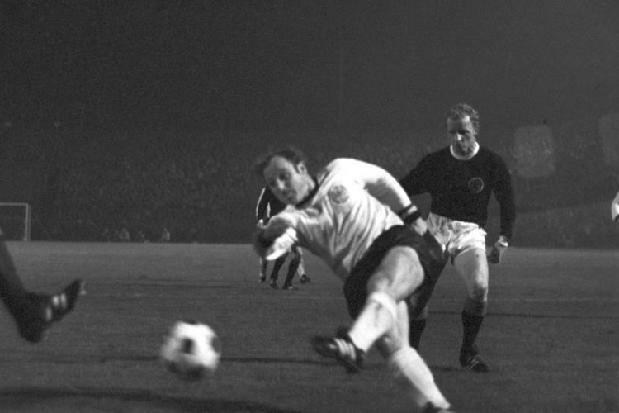 This entry was posted in 1960-1969, 1969, 70.000-79.000, Hamburg, Home match, Scotland, Team photo, Video, World Cup, World Cup 1970 Qualifying. Bookmark the permalink. Sorry to hear that Helmut Haller has died. 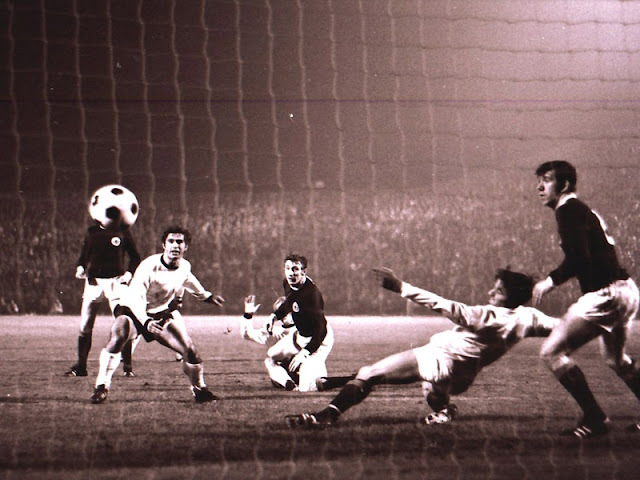 I was at the match that night in the Volksparkstadion. 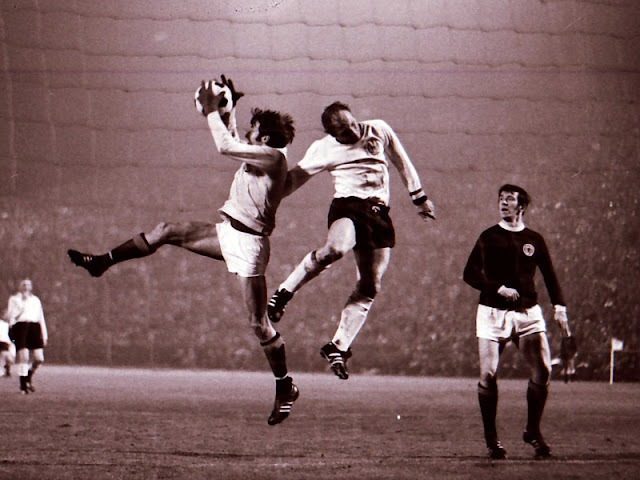 Am I right in thinking that Tommy Gemmell got a red card for booting Haller up the jacksie in the last few minutes? Such a long time ago. 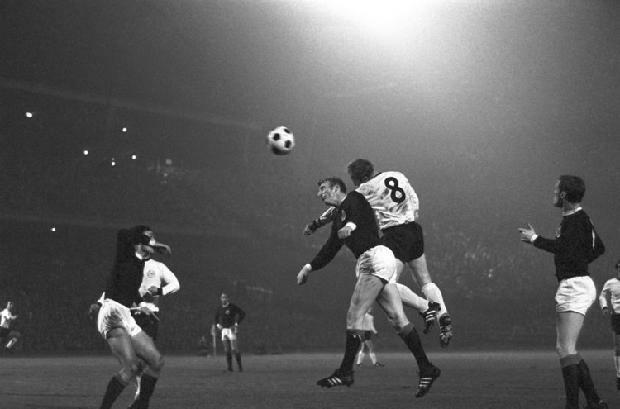 Scotland were a good team in those days. I don’t have that info, but if you were there surely it was the way you said it. 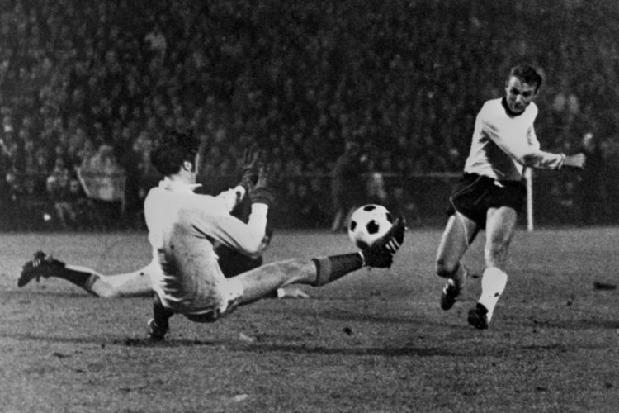 This was a very tough game for Germany. 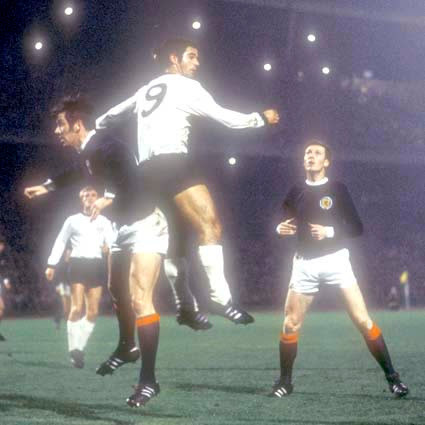 Scotland was a very strong team in the 70s, suffice to say he was a very competitive team in the 1974 World Cup (although in 1978 didn’t make much success despite having a very good squad as well).